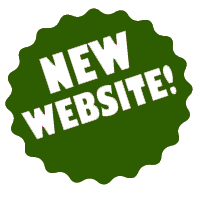 Town of Hubbard new website! The Town of Hubbard with a current population of 1780 is a progressive, diverse Town located in east central Dodge County. It consists of many farms, numerous residential properties, industry, a variety of business and commercial properties and an extensive area of Lake Sinissippi. The Town of Hubbard is the home of a very large limestone mining and production facility and a large decorative block and pavers production facility. Our Town Hall is located at W2864 Neda Road, in the unincorporated village of Neda. Our history includes the iron mines out of which a considerable amount of iron ore was taken many years ago. A part of these underground mines has now become the largest Bat Hibernaculum in the midwest. Town of Hubbard Town Board meetings are held on the second Tuesday of each month unless a scheduling conflict occurs and the meeting is held on another night. Watch this website for postings and the Dodge County Pionier for notices. The Dodge County Pionier is the official town newspaper. The Town of Hubbard is a member of the Wisconsin Towns Association (WTA), has its own Plan Commission and Board of Zoning Appeals. We have completed our Year 2030 Comprehensive Plan and have finished updating our Zoning Ordinance and Land Division Ordinance. Plan Commission meetings are held on the last Monday of the month when necessary. Requests for Conditional Use Permits, Rezoning, etc., must be submitted to the Clerk during the first week of the month. The Board of Zoning Appeals meets whenever there is a request for a Variance. The garbage disposal and recycling facility for residents of the Town only is located at the Town Hall in Neda and is open every Saturday from 8:00 A.M. to 2:00 P.M. There is a nominal fee for the disposal of garbage but no fee for the disposal of recyclable items. We can no longer accept refrigerators, freezers, microwaves, dehumidifiers and electronic items covered 2009 WISCONSIN ACT 50, also known as "E-Cycle Wisconsin". Items included in this law are, computers, desktop printers and printer/fax/copier/scanner combinations, video display devices, including televisions, laptop computers and computer monitors with displays of at least 7" in the longest diagonal direction, computer peripherals, including keyboards, mice, hard drives and other devices, fax machines, DVD players, VCRs and other video players (i.e., DVRs). In addition, the law bans the landfilling and inceneration of all of the aforementioned items plus cell phones and other phones with a video display as of September 1, 2010. Veolia ES Glacier Ridge Landfill, LLC located at N7296 Highway V, Horicon WI., is a certified collection site and all of these items can be taken directly there during their business hours. You may call them at (920) 387-0987. As of January 1, 2011 Oil Filters and Oil Absorbent Materials have been added to the list of items that can no longer be included with your regular garbage. You must keep them separate and place them in a barrel provided at the town drop-off center in Neda. The Town has adopted the One and Two Family Dwelling Code and is currently under contract with General Engineering Company to administer it and issue Building Permits. The Building Inspector is Jake Henning and he is at the Town Hall every Monday from 1:00 to 2:00 P.M., to issue Building Permits. He can be reached at (608) 697-8009. Parts of the Town are represented by the Horicon, Hustisford, Mayville, Dodgeland (Juneau), Neosho and Hartford Union High School Districts. The entire Town is in the Moraine Park Technical College District. Parts of the Town are served by Hubbard/Hustisford Sanitary District #1, Hubbard Sanitary District #2 and Herman Sanitary District #1. Fire protection is provided under contract by the Iron Ridge Fire Dept, Inc., Village of Hustisford Fire Dept., City of Horicon Fire Dept., Woodland Fire Dept., and City of Juneau Fire Dept., in their respective districts. The Iron Ridge First Responders also provide emergency aid. Ambulance Service is provided by Juneau EMS, Mayville EMS and Horicon EMS, in their respective districts. Assessment of properties is provided under contract by Grota Appraisals, LLC and they can be reached at (262) 253-1142.